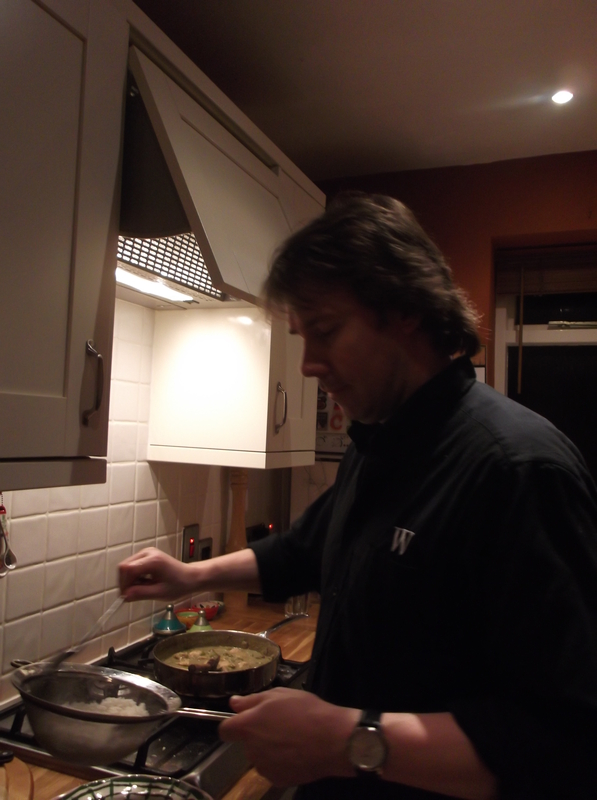 On Monday night it was Colin’s turn to make dinner as I was back home late after interviewing all day. He decided on making a Thai Green Chicken Curry as we’ve not had one for ages and he’s made some brilliant ones in the past. Tonight,unfortunately, was not a vintage effort! A misunderstanding with the recipe meant the entire pot of thai paste went into the sauce making it super, super hot! I am writing this on Tuesday night and it was my turn to make a disaster! I made a lovely pasta sauce with some chorizo, garlic and tomatoes- nice and thick and juicy. However, the pasta would just not cook at all and was very chewy. I managed to chew my way through, but Colin only managed to eat the sauce….. Luckily ice cream in the freezer has taken the hunger away! I’m hoping for better luck tomorrow as it’s Colin’s world famous chilli!